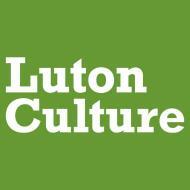 Luton's leading arts and entertainment venue featuring live music, club nights, theatre, dance, films, children's activities, workshops, classes and gallery exhibitions. The Hat Factory is a centre of artistic excellence set within a vibrant urban environment. It offers the young and the young at heart the chance to engage with the arts, to be inspired by the UK’s leading arts practitioners, and to develop artistic skills and confidence. The Hat Factory is a combined arts venue in the centre of Luton. It opened in 2003 and since then has been the area’s main provider of contemporary theatre, dance and music. We work with both emerging and proven producers and artists, through programming, engagement programmes and our Associate Artist scheme. Our music programming is vibrant, offering an eclectic portfolio of high quality artists from the worlds of jazz, blues, folk, world music, indie and hip hop. Complementing our own programming, we welcome local/regional promoters to the venue, broadening our music offer and at the same time supporting young promoters and their businesses. We programme contemporary theatre and dance with a focus on fresh, new and relevant stories from both established and emerging touring companies who are making high quality work in the UK. We’ve programmed companies like Earthfall, Chickenshed, New International Encounter (NIE), Trestle, Menagerie, Eastern Angles, Atma, State of Emergency, 30 Bird, Tavaziva, Analogue and Jean Abreu Dance to name but a few.